I received something that made me really smile in the post today, something I really wanted. 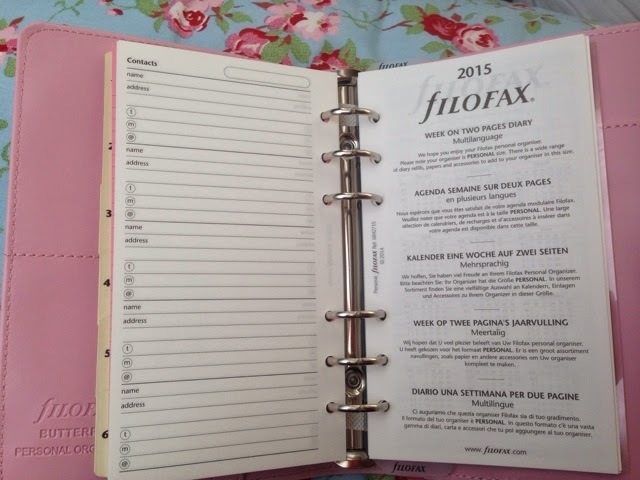 Yep, that's right, a new filofax. It's so pretty I was more than happy to part with my hard earned cash for it. After I bought my personal size I really genuinely hadn't intended getting anymore. My current set up works so well for me. When I decided to add a personal to my set up, I couldn't get this one anywhere. No one seemed to have it in stock; I had given up. 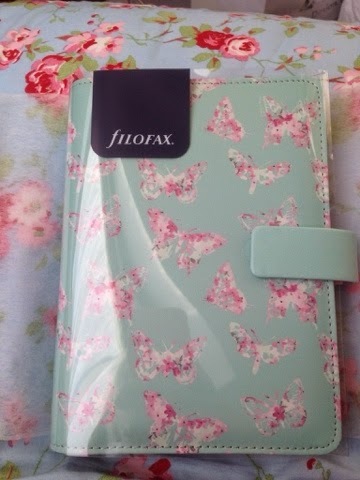 I couldn't believe my luck when it came back in on Amazon and even though I have a lovely planner, I would have regretted not getting it. I love it's beautiful cover, the butterflies are so dainty and the colours can't help but make me feel happy as I dream of spring. I was in love instantly! 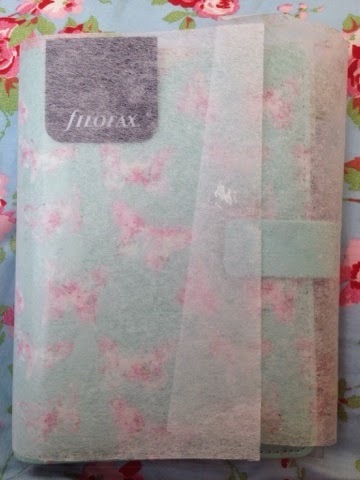 Upon opening this beauty I was charmed by the colour and the pretty dashboard already included, although I do intend to laminate it. It comes loaded with all the standard inserts although I can't wait to put my own stamp on the content. 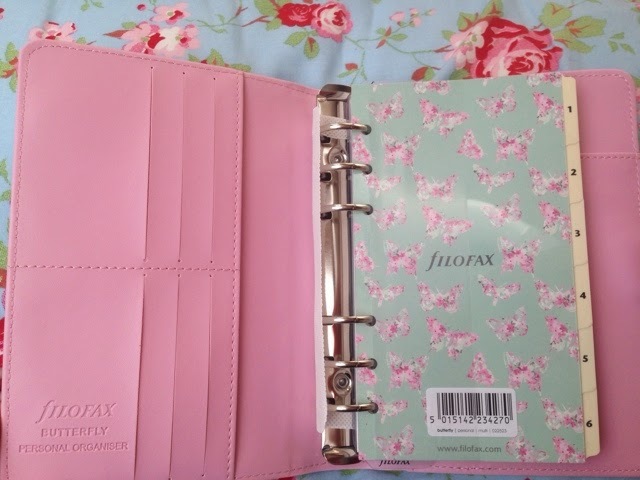 I'm really eager to move into this beauty but I'm trying to hold out until spring as this planner has such a lovely spring vibe then just swap between them depending on the seasons. Omgosh D I absolutely this planner. I have been really tempted to get this ever since I set my eyes on it when the collection was launched. I have been hesitating because I am not a multiple planners kinda girl and I feel like I would totally abandon my Saffiano if I buy this. I am still in love with my Saffiano. It feels like cheating lol.